Well-liked for coffee lovers. A straight Guatemala coffee beans. 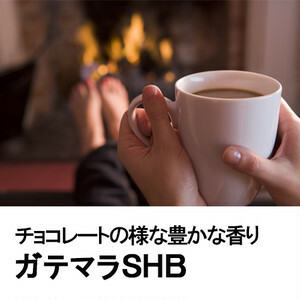 SHB stands for Strictly Hard Bean and it refers to coffee grown at an altitude above 1,350 meters. Guatemala coffee grading system has 7 grades and the highest is SHB. It has rich flavour and medium body of chocolate and a light acidity. Please write your order details if you would like to have for example a 200g bag or 2 x 100g bags.